The Ontario government wants to reform the aggregate industry. It’s inviting comment. NDACT, the group that defeated a Boston hedge fund’s plans for a mega quarry, has some comments. Please take the time to read our submission, formulate your own objections and submit to Ministry of Natural Resources and Forestry via e-mail to aggregatereform@ontario.ca on or before May 1, 2019. 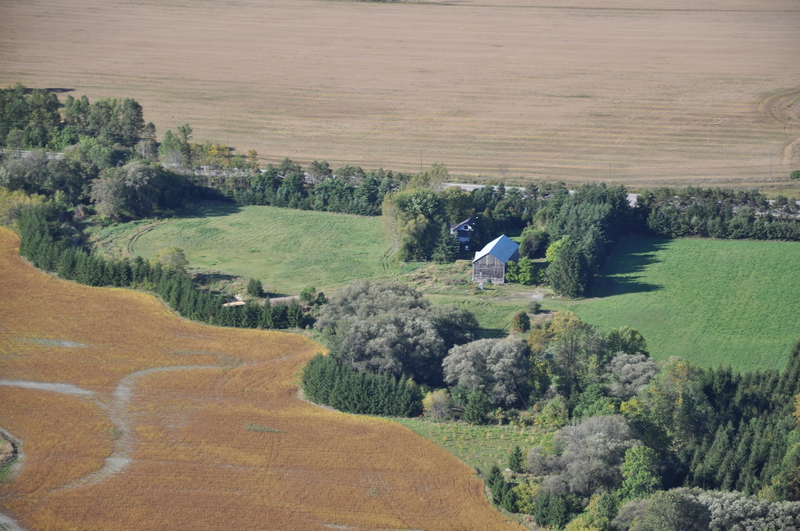 North Dufferin Agricultural and Community Taskforce (NDACT) is a grassroots group formed in 2009 by local farmers and residents to defend Melancthon’s prime farmland at the headwaters of 5 rivers from a proposed mega-quarry. An outline of the proposal is attached as Schedule A. After a successful campaign, NDACT continues to fight for farmland and source water by developing awareness, encouraging people power, and by promoting better legislation. Food & Water First is a campaign of NDACT. “The aggregate industry contributes almost $1.4 billion to Ontario’s economy and supports almost 20,000 direct and indirect jobs.” (source OSSGA Untangling Red Tape). Using the word sustainable as it pertains to the aggregate industry is disingenuous. No one is able to create or grow more aggregate. When all the “close to market” aggregate has been depleted the industry will have to source market supply farther away. Depleting all the “close to market” aggregate means digging up and paving over valuable and rare farmland which provides food that is “close to market”. The agriculture jobs will be lost forever as will Ontario’s ability to feed itself. NDACT is not against aggregate. We understand aggregates are the raw materials that help build our schools, hospitals and bridges. Aggregate however is also required in paving over farmland for developers to build houses, of which there is ample supply. Within the last five years the rate of farmland being lost to development has decreased from 375 acres a day to 150 acres. (Source Ontario Federation of Agriculture) It is important to remember that when you dig up an acre of farmland to extract aggregate you are also paving over another acre on which to develop. Losing 150 acres of farmland a day is not sustainable. At its current rate of depletion, Ontario will lose two million acres of farmland by the year 2050. However the world’s population is expected to increase by another 1.5 billion people by that time. Without farmland, Ontario farmers will not be able to feed Ontario’s population and without farmland, Ontario cannot have food security.  Establish a single point of responsibility, at the Provincial level, for the application process and eliminate multi-Agency Review and comment on the same reports and Site Plans.  Educate Agency staff to ensure policies and/or MoU’s are understood and implemented from the top down to the District level within MNRF. and create a special tribunal specifically for the industry.  Proclaim permit by rule allowing routine approvals to be automatic upon submission. “excessive bureaucracy or adherence to rules and formalities, especially in public business”.  Expropriation of municipal road allowances to permit access to aggregate. Management of Ontario’s aggregate resources is a Provincial interest that transcends municipal boundaries and localized special interests. Lessons from the past along with current experience tells us that a strong Provincial leadership role in the management and regulation of aggregate resources is essential to maintaining close to market availability and consistent regulation. This would seem to suggest the Province be the only oversight body in the approval of a pit or quarry and that municipalities and “localized special interest groups” would have no part in what is occurring in their communities. This does not seem like a very transparent process. NDACT would counter by stating agricultural industry, one of the key economic driver’s in Ontario should be a Provincial interest and protected by the province which would be essential to maintaining food security and close to market food sources. Consider that by 2041 there will be 18.2 million people in Ontario. To support this growth 3.84 billion tonnes of aggregate will be needed to build the roads, schools, hospitals, homes and other public buildings we all use (that’s more than 100 million truck loads of aggregate). For example, Conservation Authorities, are not only reviewing technical studies, but also imposing additional requirements for further information and studies. This duplication adds exponentially to the length of time for an application to proceed through due process as well as the cost of an application. Without the Nottawasaga Valley Conservation Authority reviewing the mega quarry proponents proposal, they would not have produced the damning report that basically shut the proposal down. A second or third level of oversight is extremely important when source water is involved. 1. On April 25, 2013 the House ordered a review of the Aggregate Resources Act and a report issued in 2013 with 38 recommendations regarding various aspects of the Aggregate Resources Act. In 2014 the government’s response to the report recognized the recommendations represented the consensus of an all-party Committee. We recommend the government and our local MPP Sylvia Jones who sat on the committee, to review the recommendations in the report and to act on them. 2. Provide permanent protection for Class 1, 2 and 3 land by by prohibiting aggregate extraction and development on those lands. 3. Provide protection for “close to market” agricultural sources including land and related infrastructure. provided by gravel in its virgin state. otherwise set out in the Site Plan. proponent will pay in perpetuity not the taxpayer. 6. Application’s traffic scenario showed 150 trucks that will come and go per hour.